The following data is for Gold Price in 1971. Additional Gold Price history and also current info can be found on our main live Gold Price page. As we covered in our 1968 gold price page, the 1944 Bretton Woods agreement was coming undone due to a combination of a low defaltionary fixed $35 oz USD gold price in 1934 (which only then covered some 40% of the US dollar monetary base). Various wars and unfunded expenditure programs followed putting pressure on US gold bullion outflows. Some 10,000 tonnes of gold bullion left US reserves from the end of WWII to this unofficial ending of the Bretton Woods agreement and Nixon's 'temporary' monetary policy measures. It was not boogie man 'speculators' that forced this. Ultimately it was another unrealistic currency peg coming to a close due to growing government expenditures year after year. Put simply, the US did not have enough gold bullion to back the US dollars it had put into circulation. Rather than lose what gold bullion it had left, this policy effectively ended the agreement. Below is Nixon Sunday evening presentation embedded to start at the key moment in relation to gold prices from that date onwards. Since that day's roughly $43 oz USD gold price, the US dollar has lost over 96% of its value to gold bullion to date. 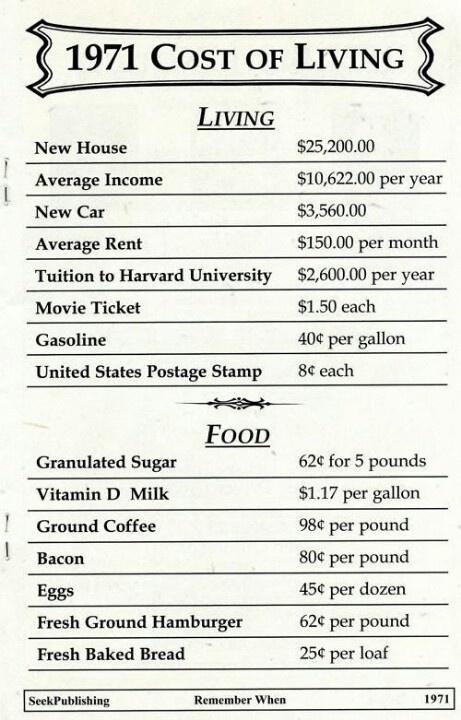 Of historical note too, at the time freedom loving US citizens were not allowed to even own over 5 oz of gold bullion (stemming back to the 1934 gold nationalization). 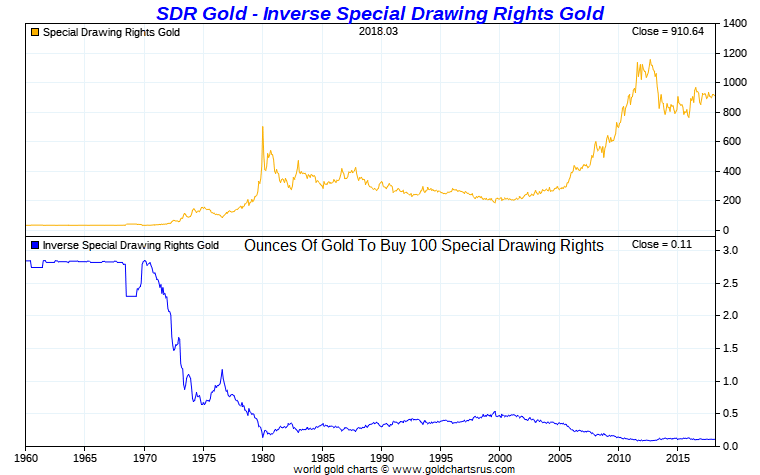 Private gold bullion ownership of over 5 oz per US citizen was not remade legal until the start of 1975. 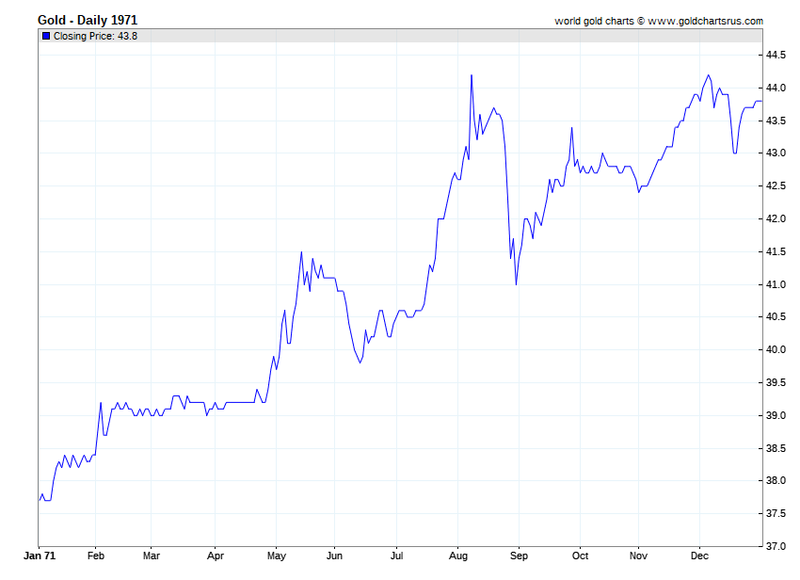 By then the gold price was already hovering around $200 oz USD. Only some 3 1/2 months later, at the Smithsonian Agreement. the US dollar was devalued -10.7% vs other key currencies and -8.5% to gold. This was also somewhat 'temporary' for by middle February 1973, the US dollar was again devalued another -10% against foreign currency values at the time. Also of note, the Group of 10 who congregated at the Smithsonian Agreement also planned to balance the world financial system using IMF Special Drawing Rights (SDRs) alone. Like the US dollar and all other fiat currencies, the IMF SDRs, have also been an abject failure at maintaining its value versus gold, silver, platinum, and palladium bullion since.